On Tuesday, September 8, 2016, the Costa Mesa City Council and the Planning Commission will hold a joint study session to discuss the Westside Urban Plans and the Land Use Alternatives of the General Plan. I won't be surprised if the Fairview Developmental Center property is an important part of this discussion. Considering the land rush of development going on in the city for the past couple years, and the specter of the so-called Smart Growth initiative that might be on the ballot next year, this discussion should be of interest to anyone at all interested in the future of development in the city. This meeting has wisely been re-located from City Hall to the Neighborhood Community Center, 1845 Park Avenue (Lions Park). The meeting begins at 5:00 p.m. There should be more than adequate seating for all interested in this study session, which typically will be a more casual kind of discussion of these important issues. I know this notification is early, but it's time to mark your calendar. I'll notify you again shortly before the Labor Day holiday, since this meeting falls on the first work day after the holiday. 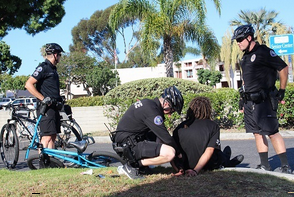 The Costa Mesa Police Department has re-instituted bicycle patrols in the city in response to a recent uptick in drug sales and criminal activity in the city's parks, according to the press release issued yesterday, HERE. Take a minute to read that lengthy bit of information. This is great news for the residents, business owners and visitors to our city. Crime is on the rise and this VERY visible presence will go a long way to reversing that trend. Kudos to Chief Rob Sharpnack, Captain Mark Manley and the command staff for this bit of good news... we need it. I was interested in one statement made in the press release that mentions the bike patrols are quieter and easier to maneuver. I smiled and thought to myself maybe we should use clothes pins (remember those... anyone...?) 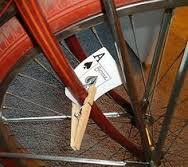 to stick playing cards in the spokes to make it easier for miscreants to know the cops are coming. Sorry... sometimes that's how this old mind works. Anyhow, this is very good news for us all and we hope to see this kind of creative approach to policing expanded in our city as staffing levels permit. Presently we are still way, way, way below authorized strength and that is based on the bogus number forced on the CMPD by the mayor and mayor pro tem. A VERY INTERESTING TURN OF EVENTS! James Poulos in Cal Watchdog.com, HERE, reports today that the City of San Jose has decided to dump its pension reform scheme by successfully petitioning the courts to invalidate it's own ballot measure! 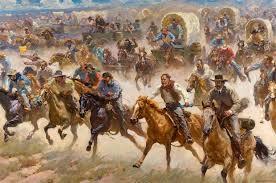 According to Poulos, who quotes Scott Herald of the San Jose Mercury News, San Jose was embroiled in rancorous negotiations with their police organization and officers were leaving in droves - sound familiar? According to the article, the loss of officers to resignation and retirement had reached crisis proportions. HOW DOES THIS RELATE TO COSTA MESA? Take a couple moments to read the linked piece, then pause to think about how this relates to our current situation in Costa Mesa, where negotiations with the Costa Mesa Police Association has dragged on for a couple years and the Mayor and Mayor Pro Tem have sued the men and women of the CMPD. This is fascinating news, particularly when you consider that CalPers recently announced that its returns for the fiscal year ending in June would be a dismal 2.5%, well short of the 7.5% on which their projections are based. How all of this news will impact Costa Mesa is unclear. One thing is guaranteed, though - at least a couple local elected officials will, once again, sit on the dais, thump their chests and demand change - while doing NOTHING about it themselves. 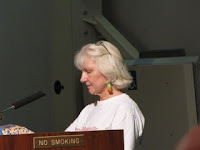 As you may have read in Bradley Zint's article in the Daily Pilot tonight, HERE, the activist group Costa Mesans For Responsible Government (CM4RG) has offered their support to the initiative effort recently launched by another activist organization, Costa Mesa First, which has been described by the Costa Mesa City Attorney in the title they ascribed to the petition as, "An Initiative to Require Voter Approval on Certain Development Projects". 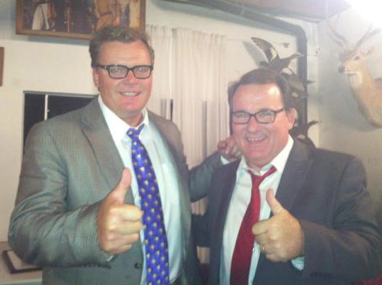 COSTA MESA, California, August 15, 2015 - Costa Mesans for Responsible Government (CM4RG) announces their support for Costa Mesa First’s “An Initiative to Require Voter Approval on Certain Development Projects". This initiative enables the citizens of Costa Mesa to have a voice in developments that do not comply with the established General Plan or zoning codes. CM4RG's core belief is that a responsible government listens to their citizens. This initiative promotes responsible growth. It does not affect well-designed projects that conform to the established guidelines. If a developer proposes a project that complies with Costa Mesa’s General Plan and maintains the established zoning, the process remains the same. If the project requires substantial changes to the General Plan and zoning, then the citizens will be notified, and the developer will present its project to the citizens. Projects that add less than 40 residential units, 10,000 square feet of commercial space, or 200 new vehicle trips will not need voter approval. The Planning Commission often hears proposals on large projects that violate the General Plan or zoning restrictions. A large, non-compliant development may be passed by a vote of as few as 3 Commissioners. It is then forwarded to the City Council where only 3 votes can change the rules to allow projects that negatively affect residents of Costa Mesa for years into the future. The initiative guards against such circumstances. Jay Humphrey, a proponent of the initiative, says, "If we have to live with the impacts of major development changes in our community, we should have the ability to vote if we want to live with those impacts for the next 40 years or not. A council is only around for the new phase of what they vote for and are usually out of office when the newness wears off and we get to live with what's left, warts and all." CM4RG believes a government responsible to its citizens strives to comply with the goals and objectives of the General Plan. CM4RG supports this initiative because we believe that the citizens of Costa Mesa often have not been heard, and deserve a voice in changes to land use and development that can substantially impact their quality of life. 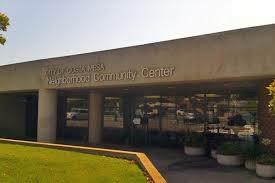 For more information about the initiative, see Costamesa1st.com. 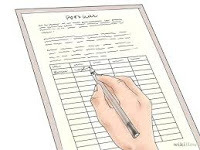 Signatures are being gathered now to qualify the initiative for the November, 2016 ballot. 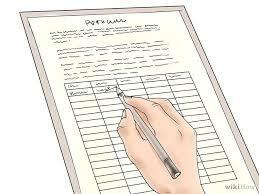 More than 5,000 valid signatures are required to be collected and verified by early next year. You can read the ballot summary description HERE and the full text of the initiative HERE. You can also view an easy-to-understand flow chart on the initiative HERE. I returned from my wonderful birthday trip, still "high" from the experience of spending such wonderful, quality time with my lovely and very patient wife and some old friends, to find that our pals at the Voice Of OC have launched a new effort regarding presenting information on marijuana legalization efforts. In what apparently will be an ongoing series they currently have two articles available on their site. The first, HERE, is titled "America's Weed Rush". The second, HERE, is titled, "America's Weed Rush: Different States Means Different Policies. My mentioning this should NOT be considered an endorsement of marijuana use, medical or otherwise. It is not. However, this snowball is rolling downhill toward us - there may be as many as four (4) items involving marijuana on the Costa Mesa ballot next year - so the more information we can get to make informed decisions on this issue, the better. At least, that's my opinion. So, read them if you wish. I'll continue to remind you as new articles appear.